Katelios (Kefalonia). 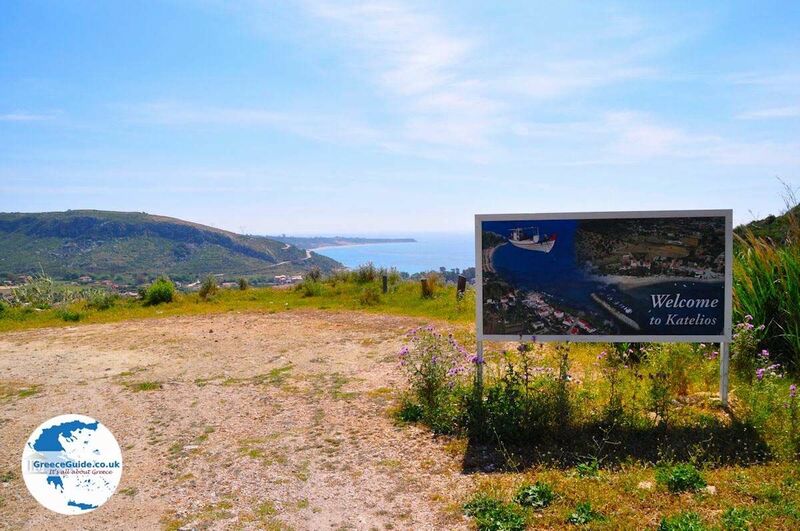 On the road from Argostoli to Skala, about 30 kilometres from Argostoli lies the village Katelios. 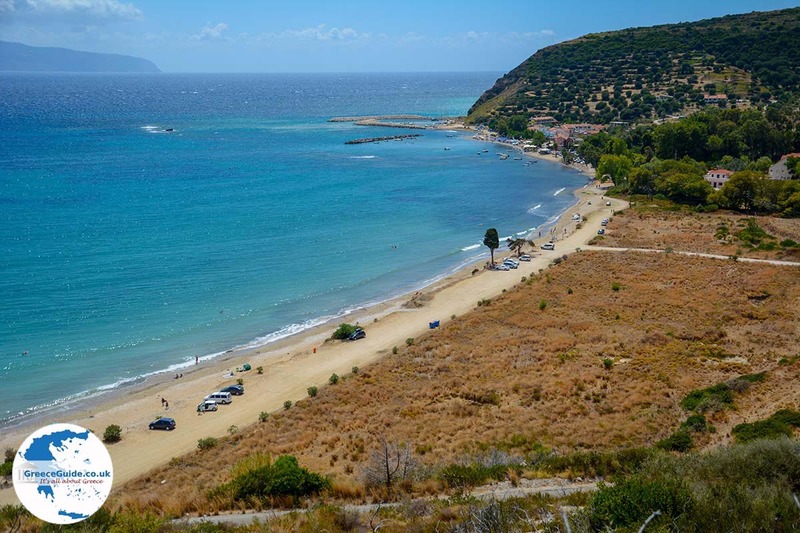 which consists of Epano Katelios and Kato Katelios (top and bottom) Kato Katelios is situated near to the beach. 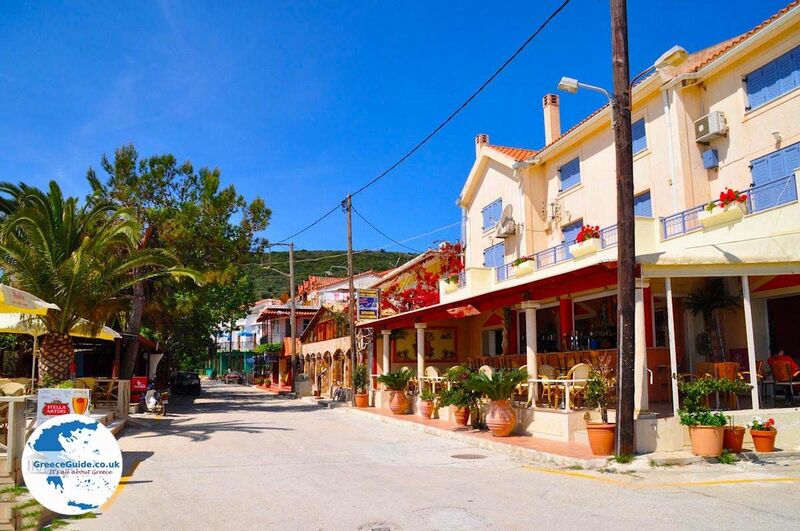 This village is located on a picturesque bay with several sandy beaches, Here is a dream for nature lovers and sun worshipers. 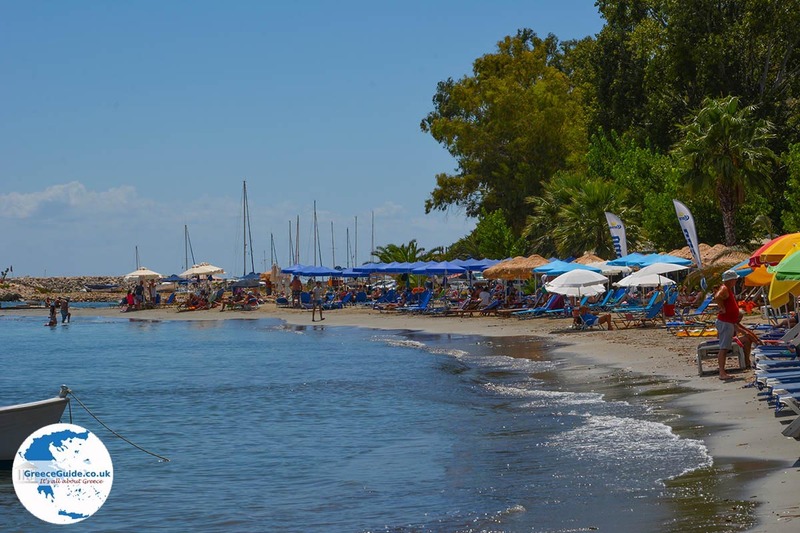 The most famous beach is the beach of Agia Varvara (Blue Flag), the other beaches are Kaminia, Potamakia and Mounta. 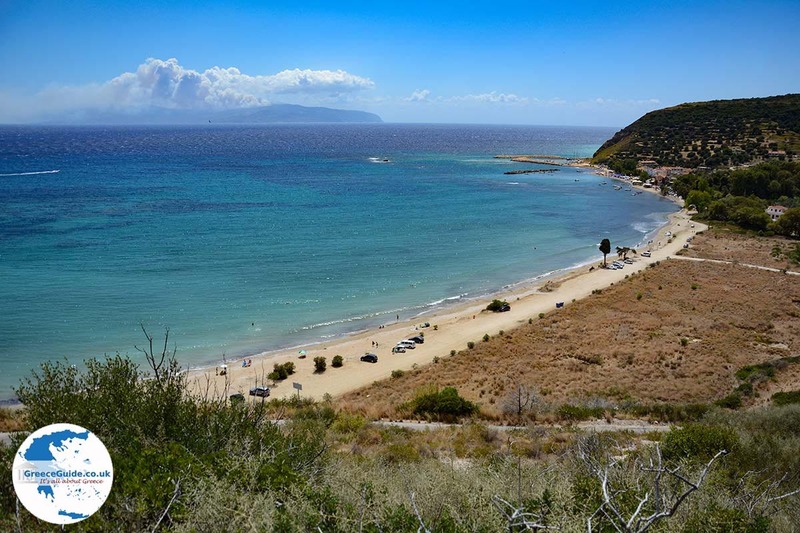 All along these beaches are filled with restaurants and fish tavernas where local specialities are available. 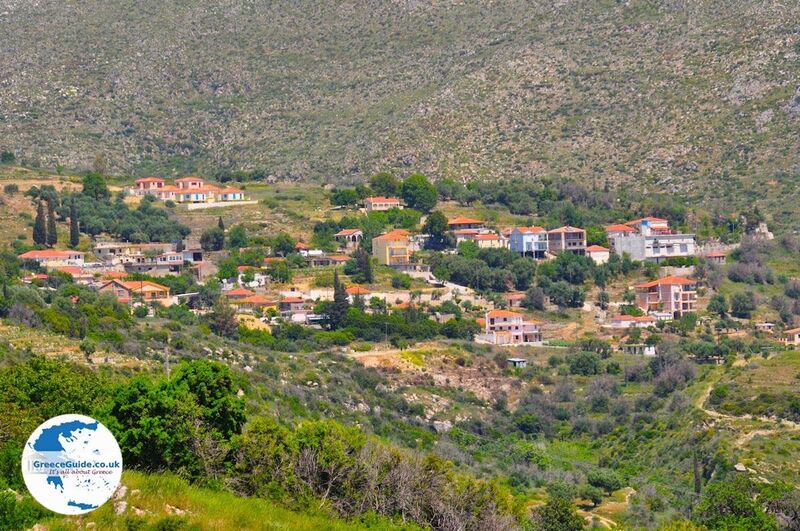 Katelios is often visited by hikers and mountain bikers, because there are several scenic hiking and biking trails around the surrounding villages. 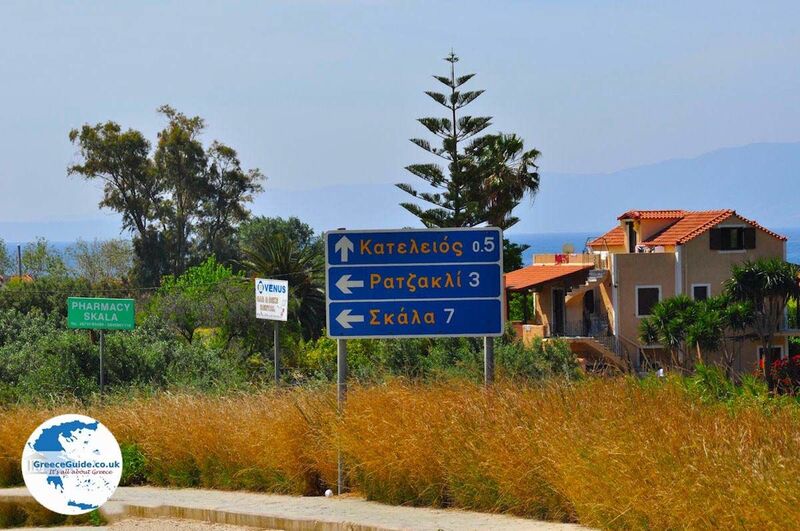 For example, you can hike or cycle from Katelios to the village Pastra. 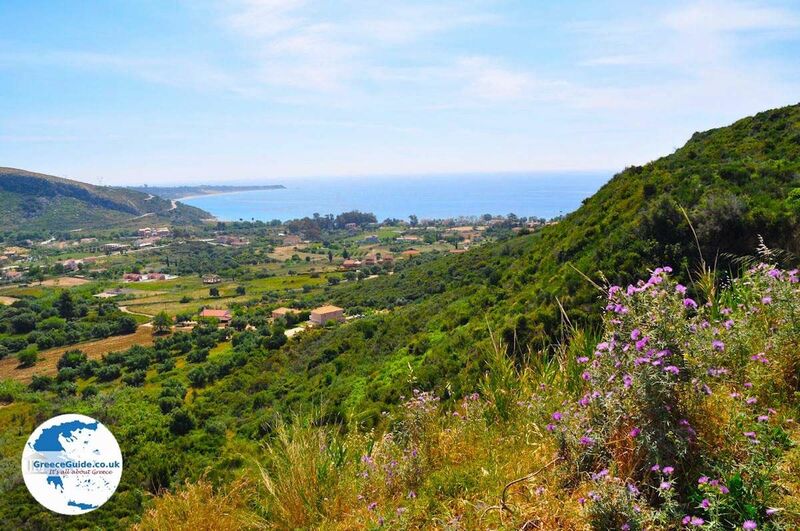 Along the way you will pass a beautiful river walk in the middle of a fantastic green countryside with several water mills and wooden bridges. 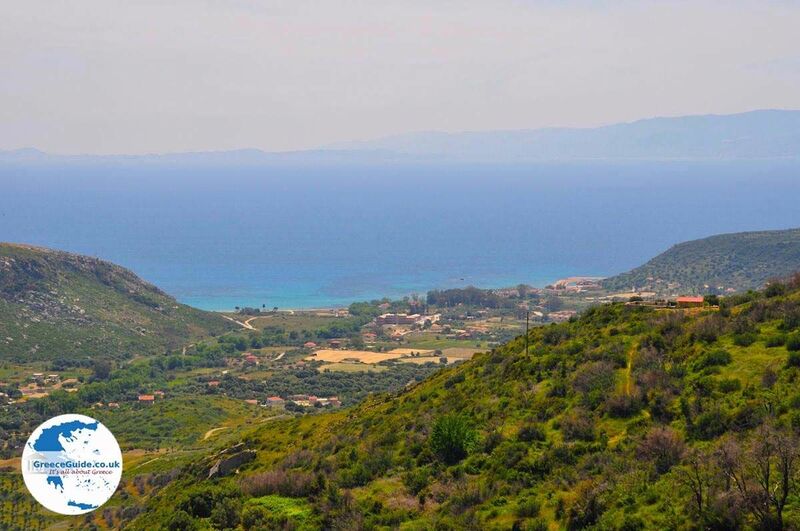 From Katelios you can travel around by car to the surrounding neighbouring villages in the mountains to “have a taste of the traditional Kefalonia". 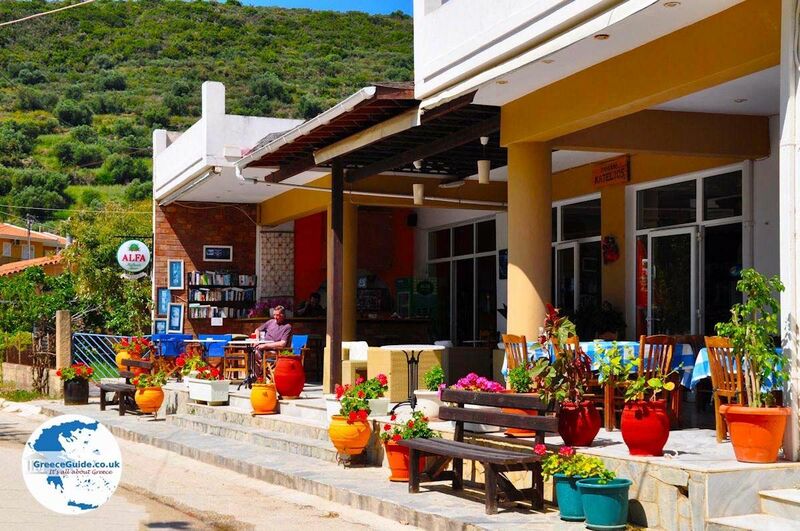 If you want something more lively then you will find it at Skala (7 km) and Poros (15 kilometres). 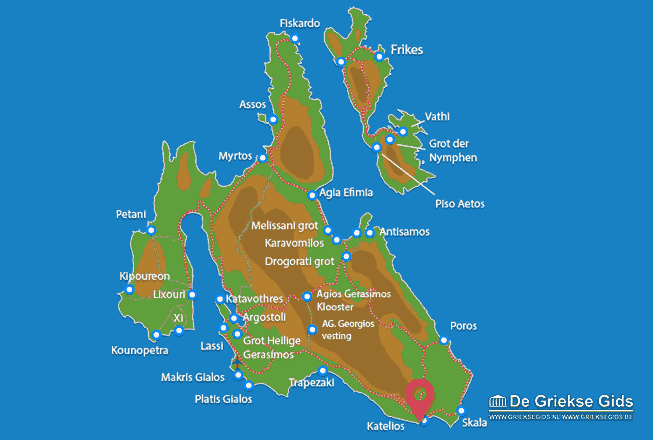 Kefalonia: Where on the map is Katelios located?